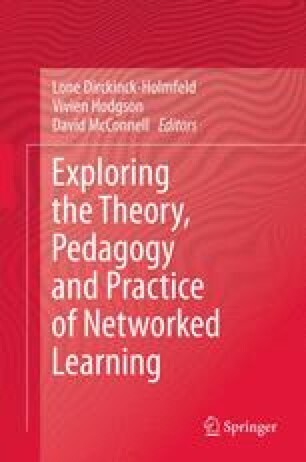 This chapter makes the case that new literacies are required when reflective practices in higher education move online. Online reflective writing is profoundly influenced by wider cultural understandings of blogging and personal disclosure and risk online. We can see in current blogging practices a convergence of the rise of the concept of personal branding (Peters, The brand called you. Fast Company, 1997; Lair et al., Manag Comm Quart 18(3):307–343, 2005), and what Scott describes as the “cultural tendency to seek out confessional narratives of self-disclosure” (Qual Res 4(1):91–105, 2004; p. 92). This convergence exposes a number of tensions between self-promotion and authenticity, between accusations of narcissism and pressures to confess, and between moral panics around privacy and safety and a growing sense that online invisibility equates to personal and professional negligence, and that the more presence the better. As students negotiate the management of personal, academic and sometimes also professional voices in blogs and reflective e-portfolios, they bring in to play writing approaches which are new not in their substance but in their modality. This chapter proposes a set of (often conflicting) norms and expectations widely associated with blogging. These cluster around themes of authenticity, risk, pretence, othering, narcissism and commodification. It explores how these are reflected in the assumptions and practices of students and teachers, and goes on to argue for greater attention to be given to the nature of online reflective writing, and a more explicit and critical engagement with the tensions it embodies.